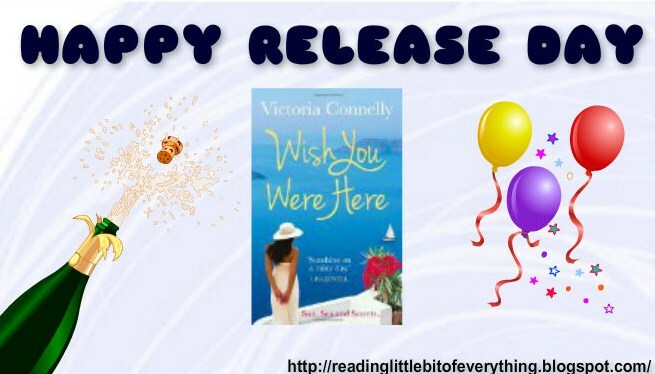 Today is the release of Victoria's new novel Wish You Were Here, to check it out click on the image below to be brought to Amazon.co.uk for the paperback edition. ~ Can you tell readers a bit about yourself and your writing journey so far? I grew up watching the films of Doris Day, Marilyn Monroe and Gene Kelly and knew that writing romantic comedies would suit me well but the road to publication wasn't an easy one and it took me many years before my first novel was published. I have since had nine novels published worldwide and have three collections of short stories out on Kindle together with a novella and my first foray into non-fiction – Escape to Mulberry Cottage - which tells of our recent move from the London suburbs to rural Suffolk. I love our new life in Suffolk with our ever-expanding flock of ex-battery hens. My husband is a landscape painter and we both feel so very lucky to be making a living from our art in a beautiful corner of England. ~ Can you share your latest news? 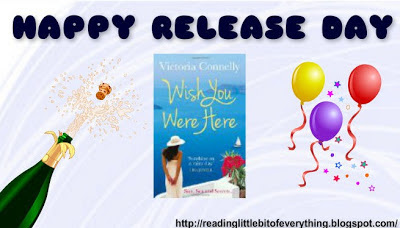 My new novel has just been released in the UK and is called Wish You Were Here. It's a romantic comedy about a plain Jane who suddenly becomes irresistible to men after making a wish on a statue of Aphrodite whilst on holiday in Greece. It was a lot of fun to write. And, for my Austen Addict fans, I'm hoping to release a new novella in September called Happy Birthday, Mr Darcy! 2013 marks the 200th anniversary of the publication of Pride and Prejudice and I wanted to mark that with a new story. ~ Do you recall how your interest in writing originated? I’ve always loved reading and started making up my own versions of Enid Blyton’s Famous Five stories when I was about nine. I attempted my first novel when I was fourteen – typing it on a manual typewriter and passing it to friends to read at school (usually during Maths lessons!) I’ve always been making up stories! I’m very inspired by places especially the English countryside and old houses. Most of my novels are set in beautiful counties like Dorset, Cumbria, Hampshire and Suffolk. But many things can inspire a novel - junk mail inspired Molly's Millions and my own obsession with Jane Austen has inspired three novels and two novellas so far! ~ What has been your favourite book to write and why? A Weekend with Mr Darcy was a lot of fun because it gave me free rein to indulge in my own Jane Austen obsession. I was able to reread all the novels and watch all the wonderful film adaptations again and tell my husband I was working each time he walked into the living room to find Colin Firth on the TV yet again! I also adored writing Molly's Millions because it was so pacey with the heroine’s Scrooge-like family chasing the journalist hero who was chasing the heroine around the country as she tried to give away her lottery winnings. It was all crazily chaotic but enormous fun. ~ Can you tell us a bit about your "Novel in a Day" course? ~ What's your advice to aspiring authors? To really love what you’re doing because most writers face years of rejection before making publication so you really need to be passionate about what you’re doing and that will keep you going. Also, read lots and write every day if you can and – most importantly – don’t give up! My first published novel, Flights of Angels, was rejected over 100 times and then went on to be fought over in a bidding war in Germany and then made into a film. I’m so glad I didn’t give up on that book! Yes! Writing is a lonely business and it’s always a real joy to hear from a reader if they’ve enjoyed your book so do get in touch! 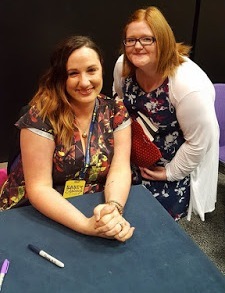 I am on Twitter (@VictoriaDarcy) and Facebook and have a newsletter you can sign up for on my website: http://victoriaconnelly.com/newsletter/ so come and say hello. What's do you think of the Interview? Have you read any of the authors books?